- Originally titled TOKYO and founded in Newmarket, Ontario during 1980. Following numerous club tours TOKYO were spotted by STYX manager Derek Sutton who groomed them for success by adopting a new handle GLASS TIGER and scoring a deal with Capitol Records subsidiary Manhattan. 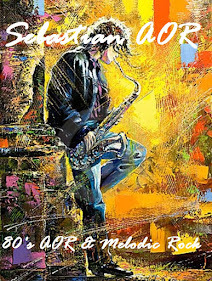 The inaugural album, a collection of slick AOR material, was produced by Jim Vallance. BRYAN ADAMS, LISA DALBELLO and MARK LAFRANCE lend backing vocals to the 1986 debut 'The Thin Red Line'. The album was an immediate success with the first single 'Don't Forget Me (When I'm Gone)' going to number 1 in Canada and number 2 in America. The band's second American single 'Someday' was another top 5 hit. GLASS TIGER hit the road in America opening for THE MOODY BLUES and JOURNEY before a European venture as guests to TINA TURNER. By the end of 1986 the band had collected three Juno awards, sold 600'000 copies of 'The Thin Red Line' in America and watched the record go quadruple platinum in their home country. 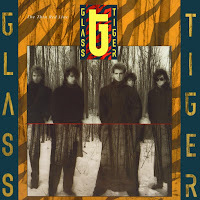 1988's 'Diamond Sun' found Vallance producing again but GLASS TIGER adopted a much harder more guitar orientated sound. DALBELLO aided in the studio once again. The 1988 Celtic flavoured single found the band working with THE CHIEFTANS! Keyboard player Michael Hanson departed to found EARTHBOY prior to 1990's Tom Werman produced 'Simple Mission'. Hanson's place in the studio was taken by POWERSTATION man Tony Thompson. The record included allies on backing vocals JEFF SCOTT SOTO of YNGWIE MALMSTEEN / TALISMAN, Tommy Funderburk of KING OF HEARTS, MARK FREE of KING KOBRA and even ROD STEWART dueting on the hit single 'My Town'! Tim Pierce added session guitar. Supporting the record the band toured Europe as guests to TINA TURNER then put in English shows with ROXETTE. Drummer Randall Coryell filled in for the band's last tour before GLASS TIGER split. Connelly founded NORGE UNION then 3MDM. Frew issued a solo album 'Wonderland' in 2000. During January and February 2006 the band united with HONEYMOON SUITE for a series of Canadian dates. - Some of Canada's most endearing music emerged during the 1980s and were also some of our biggest exports. Leading that hit parade was Glass Tiger, whose roots are seeded in Newmarket, Ont. With the demise of their previous band, Onyx, Scottish-born Alan Frew and hometown keyboardist Sam Reid formed Tokyo with guitarist Al Connelly, Wayne Parker on bass and drummer Michael Hanson. "We had a pretty good following with Onyx, but eventually we went broke and we went our separate ways. Tokyo was sort of the best of the different groups around town," Frew reminisced. The hard edged new age sound was a hit live and the band became staples around the Toronto and outlying circuit over the next few years while they honed their writing and recorded demos when they could. They caught the attention of Derek Sutton Styx's then-manager. Impressed, he took the demos to Manhattan Records, a new label with Capitol Records ties. When Capitol's Canadian office heard about the label's interest, they rushed to take a look themselves, and a deal with world distribution was signed. With an image alteration and a name change, they brought Jim Vallance into the LA studios and released THIN RED LINE in the spring of 1986. Frew recalled it was Vallance that first introduced the band to Bryan Adams, who cameo'd on the first single "Don't Forget Me When I'm Gone." "Bryan and I had talked on the phone a couple of times, went to a baseball game and had a couple of beers a few times. He was at the studio one day while we were working on our first album, and Jim said we should sing together and see what it sounds like. Bryan and I were really just having some fun messing around in the studio. It's the media that likes to make a bigger story out of it, but really, Don't Forget Me would've been a hit song with or without Bryan," Frew commented. After "Someday" became the band's second straight top 10 single in Canada, the title track's anti-war undertones were the first hints at Frew's political conscience seeping into his lyrics was released, and acknowledged that being born and raised in Scotland gives him a different perspective on certain issues. "I suppose so, but I've always felt a need to speak out. I have a voice," he said. The new year picked up where '86 left off, with "You're What I Look For" and "I Will Be There" following the trail to the top 10 list and all showed a slickly polished sound - heavy on the keyboards at times with smooth guitar and backbeat rhythms. Frew said that looking back it was still a pretty good capture of what the band was trying to sound like at that time. "Some of those songs on that album - You're What I Look For, Ecstacy, and Thin Red Line were all actually written when we were still Tokyo. We had our heavier moments back then and they all went over well with the crowds," Frew said. By the time that live magnetism had taken them around the globe and back again for nearly two years with the likes of Tina Turner, Journey, and The Moody Blues, 2 million copies of THIN RED LINE had been sold in Canada, and another two elsewhere around the globe. They all but owned the awards podiums for two years, including five Juno Awards, and a Grammy nomination in the US for Best New Group. Hooking up with Vallance again culminated in their second straight multi-platinum seller, 1988's DIAMOND SUN. Dismayed at the image the band was getting, it was a tougher sounding album, and yet was still packed with clever hooks and slick production. "I'm Still Searching" took them back to number one in Canada, and highlighted their growth in songwriting. The material was more socially conscious, with "This Island Earth" etching out the fragile state of the planet, and "Watching Worlds Crumble" looking at the falling of the Berlin Wall. Due to scheduling conflictswhile on the road in '89, the band had to decline the prestigious invitation to play at Wayne Gretzky's wedding that summer. Some time off after another world tour saw Hanson leave the fold, who would resurface years later with Earthboy. The band headed back to A&M Studios and came out with 1990's SIMPLE MISSION - basically two separate mini albums. Vallance returned for some of the tracks, and with Tom Werman (Poison, Motley Crue, Cheap Trick, Stryper) on others. Frew noted that in hindsight, it wasn't necessarily the direction he wanted the album to go, but looking back said he's still fond of because it opened the band up to a whole new audience, albeit a "disjointed" album. "There was always a heavy aspect to what we did. We all grew up on the Def Leppards and Scorpions and the Rushes, but you've got to remember - we were still a POP band, and it was kind of divided on that album. People forget POP stands for popular music, and what happened was people tended to bubblegum it up. Some songs had a pop sound to them, some didn't," he said. Keyboard-driven pop sensibility had given way on half the result to raw guitar licks and a more aggressive sound. "Animal Heart" reached number one at home and top 20 in the US, followed by "Rhythm Of Your Love," earning Glass Tiger its third straight platinum seller. The third single, "My Town", featured a cameo by The Chieftans, and Rod Stewart in the video. But again Frew was quick to dismiss it as anything more than just a couple of guys having some fun in the studio. "I'd known Rod for awhile and we'd kicked a ball around a few times. It's a song about Scotland - we're both Scottish and thought it might be fun to do it. He'd heard the demo, asked why I hadn't asked him if he'd sing on it. I said if he wasn't shitting me we'd love to have him. But these are things that just happened through providence, really," Frew said. Another single from the other side of the record, "Rescued By the Arms of Love" was rounded out with "Blinded," "Spanish Slumber" and "She Said Love Me Like A Man." The band hit the road with new drummer Randall Coryell, but despite a the singles, a change in the music business was becoming aware of by the group. A stripped down, raw and far less sophisticated grunge movement was happening, and the band called it quits in '93 to do outside projects. That same year Capitol released AIR TIME, a best of package featuring the new tracks "Touch of Your Hand" which reached the top 40 on both sides of the border and "After The Dance." Over nearly the next decade, along with starring in a tv program called Road Stories With Alan Frew where he interviewed different musicians about them and the industry, Frew released a pair of solo albums, HOLD ON and WONDERLAND. Connolly formed the short lived Norge Union and also did session work for others, as did Reid, who also frequently wrote magazine articles and worked for Sanctuary Sounds - a company specializing in New Ages styled easy listening CDs featuring the sounds of nature. After a double best of called THE PREMIUM COLLECTION was released two years earlier, Frew, Connelly, Reid and Parker reformed the band for a series of shows in 2003. Ecstatic reviews said there was again an audience ready for their brand of well-written pop songs with clever hooks and packaged in slick production, and released a pair of live albums, NO TURNING BACK and GLASS TIGER LIVE barely a year apart starting in the spring of '95. Back to back live DVDs, EXTENDED VERSIONS LIVE and LIVE IN CONCERT hit the market a year or so later. Frew noted that the biggest difference in playing today is they're still having fun - on stage and when they're rehearsing back at Reid's studio in Newmarket. He laughed and said as long as people are willing to come out, and want to come out, everyone's happy. "I guess Glass Tiger left a small mark on history. We like to be the band that you can come see after growing up with them and remember when there was good music out there and life was simpler." In 2008, Frew released a self motivational dvd called 'The Action Sandwich' and launched a series of promotional appearances, where he said the key to personal success is being true to yourselves and having control - two aspects he said Glass Tiger exemplified, and is glad the music has stood thetest of time. "I guess you could say Glass Tiger's left a little bit of a legacy in a particular genre in Canadian music, I suppose, and it makes me feel pretty good when I see the look in someone's eyes when we're on stage and you know they remember when there was good music out there." 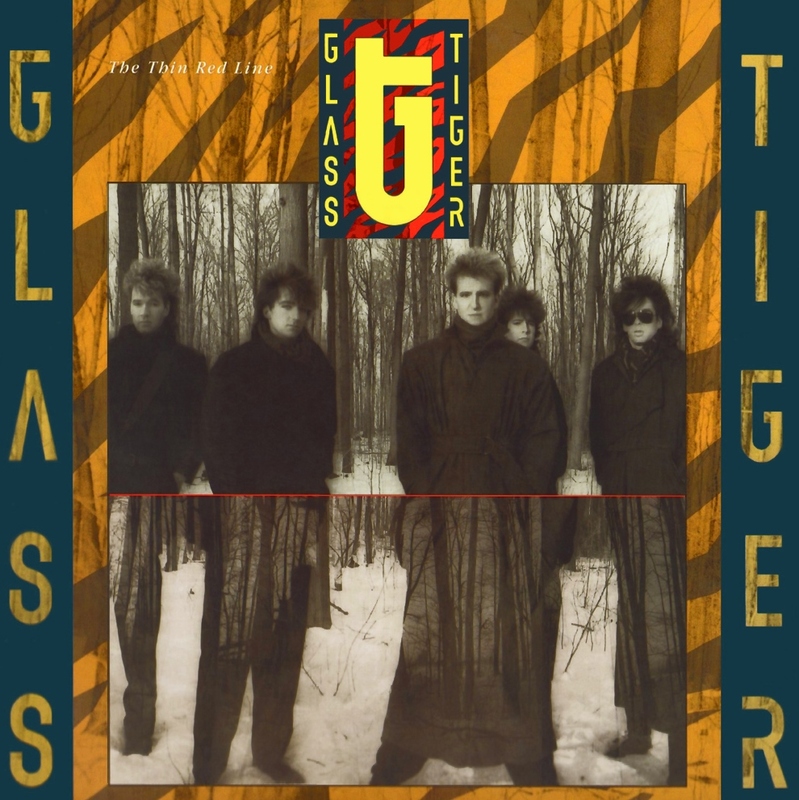 - It’s been almost twenty years since Glass Tiger first topped the charts, and they are still masters of creating, the great song. With the release of their 20th Anniversary DVD “No Turning Back Glass Tiger 1985-2005”, the band shows not only why they are indelibly etched into the annals of Canadian music history but also how their writing style still remains vibrant and meaningful for today’s music scene. Two brand new songs penned by Glass Tiger and original producer /collaborator Jim Vallance have found their way onto what is truly a Greatest Hits package. “Give It Away” and the vividly nostalgic “No Turning Back” seem to pack all that Glass Tiger is known for, strong beautifully crafted melodies and lyrics delivered with power-packed vocals and driving rhythms. With five Juno awards and a Grammy nomination under their belt, Glass Tiger was invited as the “Special Guests” for Tina Turner’s 1987 European tour. Glass Tiger’s second release Diamond Sun, and third album, Simple Mission, solidified their reputation as being one of Canada’s better song crafters. Diamond Sun sported four charting singles: “Diamond Sun,” “I’m Still Searching,” “My Song,” and “(Watching) Worlds Crumble,” achieving Double Platinum status; while Simple Mission went Platinum, with “Animal Heart”, and the notable Celtic duet classic, “My Town”, which features the legendary Rod Stewart. 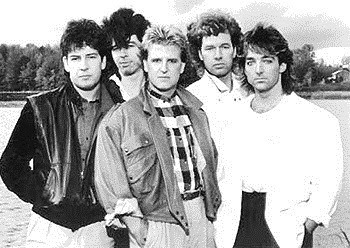 - Formed in 1980 under the name Tokyo in Newmarket, Ontario, the band that eventually became known as Glass Tiger spent four years on the Toronto area bar circuit before attracting the attention of US manager Derek Sutton (Styx). He was impressed by what he saw and took the band's demo to Manhattan Records in the States. Manhattan was a young new label being distributed south of the border by Capitol Records, so when Capitol Canada heard about the label's interest they rushed to take a look themselves, and the results ended up being a worldwide deal with Capitol and a variety of its labels. A name and style change saw the end of Tokyo and the beginning of Glass Tiger. In early 1986 Capitol sent the band into the studio with Bryan Adams's then songwriting partner Jim Vallance, and the result was their debut album, 'The Thin Red Line'. The first single, "Don't Forget Me (When I'm Gone)", featured Adams on backing vocals, and went to #1 in Canada. The album eventually went four times platinum in Canada, and sold 600,000 copies in the US. Its success border was due in part to the band's constant touring, opening for the likes of the Moody Blues and Journey in the US, and Tina Turner in Europe. The band received three consecutive Juno Awards in 1986, and two in 1987 plus a Grammy Award nomination. By the time it came to recording again, however, Glass Tiger were getting tired of being labelled a teenybopper band, and so the sessions with Vallance producing again resulted in 'Diamond Sun', a much tougher, harder album. The album entered the North American charts immediately in the Spring of 1988 and opening slots for some major acts followed. The album produced 5 singles including "I'm Still Searching" and "My Song". Hanson quit the band to pursue a solo career (which never got off the ground). In the interim the band landed a new US record deal with Manhattan Records and new management. 1991's 'Simple Mission', produced by Tom Werman (Motley Crue, Poison, Stryper) re-defined the band's sound once again with a more guitar oriented record and the world-wide exposure from the hit "My Town" which featured a duet between lead vocalist Alan Frew and Rod Stewart. To replace Hanson on the drums the band brought in rock heavy weight Tony Thompson (Chic, Power Station). Despite a thorough trashing by critics, another tour followed with Randall Coryell on drums, but the band began feeling the effects of the change in the music biz as more aggressive and grungier acts began cutting a path through the audiences of pop bands like Glass Tiger. Crowds began to become abusive and unappreciative during their tour and the band took the hint.